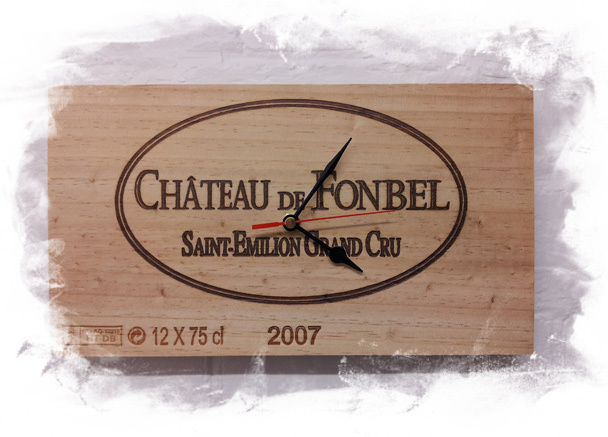 Original wooden wine box face (31cm x 17cm – approx.) with battery operated quartz movement. Supplied with battery and ready to hang. Due to their uniqueness panel designs will vary.